Designed with an extra deep and long bathing well, the Bayport 6032 (formally named Serenity 4) features two arm rests. Hour glass bathing well design provides comfort and efficiency in water consumption. Drop-in bath with the options or a front skirt and tile flange for alcove installation. 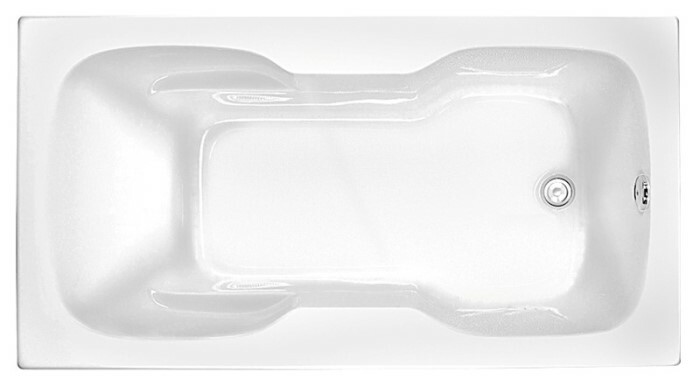 This bath will provide a the perfect bathtub for a deep soaking tub and even keep the water warm in the HotSoak. For water movement, the air tub creates vigorous bubbles or the DriftBath moves the water like a stream. Tub Size: 59 1/2" x 32" x 24"